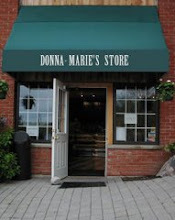 In case you have come across this blog/website, you may want to go to www.donnacooperoboyle.com which is the actual website. This one was temporarily built when my website crashed. I hope you'll visit the real OFFICIAL website! God bless! Until October 31st: Get BOTH books together and SAVE! BE THE FIRST TO GET AUTOGRAPHED COPIES! You may preorder both new books at a special BOOK LAUNCH savings! Normally both books together would be $33.90 (plus shipping and handling). Through this special you will receive BOTH books, autographed, for $30.00 (plus shipping and handling)! The Pay Pal buttons are installed. You may use Pay Pal or send a check or money order to Donna-Marie at PO Box 773, New Milford, CT 06776, USA. Shipping and handling will be $12.50 for buying BOTH books at this special BOOK LAUNCH savings! Hurry because this special lasts only until October 31st! On orders of 10 copies or more (for group studies) there is a 10% discount and an adjusted shipping and handling fee by using this Pay Pal button below (only for orders of 10 copies of The Domestic Church Room By Room or more). Or you may contact me at DMCOBoyle(at)aol(dot)com to let me know how many books you would like and I will get back to you with the total and the shipping and handling price. You may also send a check or money order for total of books needed minus the 10% discount and then add $3.00 (adjusted ship. and hand. price) per book. Again, I can also give you the total if you email me. 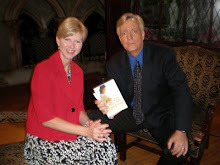 To order 10 or more copies of Grace Cafe for a study group and receive a discount, you may contact me for details. I will be posting a Paypal button soon. Announcing Grace Cafe! Coming in October! Available for Pre-Order with Discount! "Ever wish you had a cookbook for life as a Catholic wife and mother … a step-by-step guide for various “domestic church” situations? Consider your prayers answered. The recipe theme may be lighthearted, fun even, but there’s real nourishment to be had in this wonderful dish too. 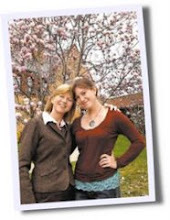 Inspiriting entrees — practical ways Catholic women can live out their familial vocation — are seasoned with simple suggestions for answering Christ’s universal call to holiness. Lovely poems conclude each chapter on a note of warmth that will lift hearts beyond the kitchen and point mothers straight toward heaven. 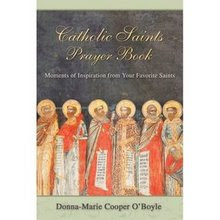 Widely published and deeply experienced in both family life and religious life, Donna-Marie Cooper O’Boyle counted Blessed Teresa of Calcutta among her personal friends. 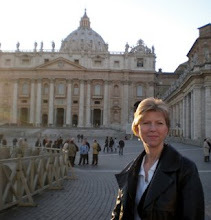 She maintains numerous websites and has founded several Catholic apostolates and ministries." To pre-order and receive a 10% discount, email Donna-Marie at DMCOBoyle(at)aol(dot)com with your address and name to be inscribed on the book. The cost of the book is $14.95 plus shipping and handling. If your order is placed on or before October 31, 2008, you will receive a 10% discount. The Pay Pal button is installed. You may use Pay Pal or send a check or money order to Donna-Marie at PO Box 773, New Milford, CT 06776, USA. The cost of the book with the discount is $13.45 plus $6.00 for shipping and handling. 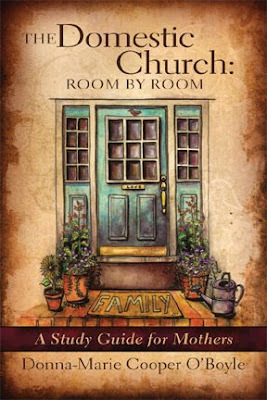 "The Domestic Church: Room by Room" for Pre-Order with Discount! You are now able to pre-order The Domestic Church: Room by Room! It is scheduled to be released around mid October. 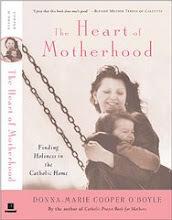 This book is a Catholic mother's study guide which can be participated in a group setting, sharing faith and insights with other Catholic mothers or studied individually. It is 272 pages long. "Pope John Paul II wrote that the “little domestic Church, like the greater Church, needs to be constantly and intensely evangelized: hence its duty regarding permanent education in the faith.” That’s a tall order for busy Catholic mothers. You might even say it’s as big as a house: You wouldn’t want to clean the whole thing in one fell swoop but, if you take it one room at a time, you’ll get the job done. In a systematic course that’s equally useful for groups and individuals, this talented author shows how to remodel your home after the spiritual design of Holy Mother Church. This book retails for $18.95. A special offer of a 10% discount on all pre-orders that come in on or before October 31th will be given! Pay Pal is installed. You may also email Donna-Marie at DMCOBoyle(at)aol(dot)com to order. The cost of this book with the discount is $17.05 plus $6.50 US shipping and handling. You may use Pay Pal or send a check or money order to Donna-Marie to PO Box 773, New Milford, CT 06776, USA along with your name and address and name you wish inscribed on the book. 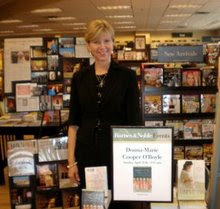 Welcome to Donna-Marie Cooper O'Boyle's website! Due to a data base error in my original website, there is now a need to start anew! Please be patient as we gather information to build up the site once again. In the mean time, scroll down the left hand column to see various photos and schedules of upcoming appearances, radio segments, videos, and more! 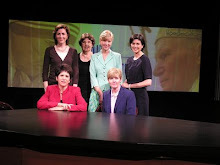 You'll be able to view excerpts (check the video bar) from the segments of Faith & Culture on EWTN television in which I was a part in a round table discussion on women and the culture and Mulieris Dignitatem: On the Dignity and Vocation of Women. Enjoy! Are we lighting the way? "I will make you a light to the nations, that my salvation may reach to the ends of the earth" (Is 49:6). Grab a cup of tea or coffee and stay a while! Feel free to leave a comment. 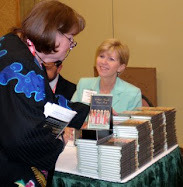 You may also visit my blogs: Embracing Motherhood: Discovering the holy in an ordinary yet extraordinary vocation. And Daily Donna Marie: A Dose of Inspiration. Also check out my new blog, Moments of Inspiration with Your Favorite Saints. 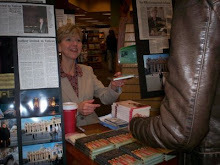 Kindly scroll down this column to see my books and an opportunity to order autographed copies. 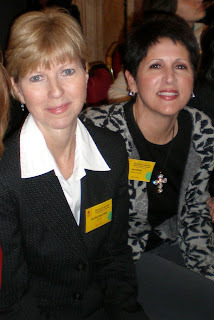 "Mom's Corner" on "Catholic Connection"
All day retreat: "Adult Education Day"
1) Reporting Back From the International Congress: "Woman and Man, the Humanum in its Entirety"
"The Gift to be A Parent and A Grandparent"
"Mother/Daughter Afternoon Deepening the Spirit"
Donna-Marie's radio segments on "Mom's Corner"
Teresa Tomeo and I discussing my new books and other topics brought up by the callers who called in to the show and won copies of my books, just click here. Join me in my new blog home!